Throughout 2016 it looked like value stocks were coming back into fashion in the US, but have started to unwind. In this short interview, Simon Clinch, US Equities Fund Manager, gives his views on current value and growth investments in the US.Throughout 2016 it looked like value stocks were coming back into fashion in the US, but have started to unwind. In this short interview, Simon Clinch, US Equities Fund Manager, gives his views on current value and growth investments in the US. This video was recorded on 13 June 2017. This is for Professional Clients only and is not for consumer use. Where Simon Clinch has expressed opinions, they are based on current market conditions and are subject to change without notice. 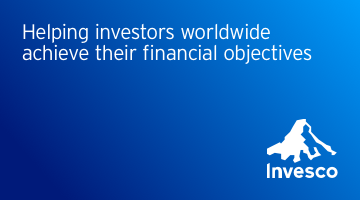 These opinions may differ from those of other Invesco Perpetual investment professionals. Invesco Perpetual is a business name of Invesco Asset Management Limited, Perpetual Park, Perpetual Park Drive, Henley-on-Thames, Oxfordshire, RG9 1HH, UK. Authorised and regulated by the Financial Conduct Authority.